As the leading think tank in Turkey, SETA felt an urgent need to address this problem. In fact, there are still people denying the very existence of racism against Muslims. Many state and civil society institutions, from the Fundamental Rights Agency (FRA) to the countless civil society organisations throughout Europe, have done priceless work to prove and establish the opposite. Yet, institutions like the FRA publish only irregular reports on a restricted number of countries while most civil society organisations tackle racism in general and only few focus on Islamophobia in particular -this is the urgent gap our report wishes to fill. 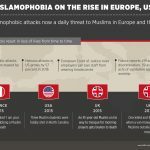 The European Islamophobia Report (EIR) is an annual report, which is presented for the first time this year (https://www.islamophobiaeurope.com/reports/2015/en/EIR_2015.pdf). It currently comprises 25 national reports regarding each state and the tendencies of Islamophobia in each respective country. The current report features the work of 37 extraordinary scholars. This report aims to enable policymakers as well as the public to discuss the issue of Islamophobia with the help of qualitative data. At the same time, several of its unique characteristic features make a difference to the current state of the debate on Islamophobia. Studies on Islamophobia have in the past predominantly concentrated on Western Europe. This is especially the case with reports focusing on Islamophobia. The EIR is the first to cover a wide range of Eastern European countries like Serbia, Croatia, Hungary, Lithuania and Latvia. This will enrich the debate on racism in general and Islamophobia in Europe in particular. The EIR documents and analyzes trends in the spread of Islamophobia in various European nation states. Every year on the International Day for the Elimination of Racial Discrimination (21 March), EIR will be published online and hardcopy and disseminated among leading stakeholders, politicians, NGO’s, and anti-racist organizations. The EIR is presented at the European Parliament and other important international and national institutions. One or more persons can author one report of his/her country of expertise. These reports will be also published online to be easily accessible. The full report will also be translated into Turkish. The executive office will disseminate the reports among key policy makers, journalists and NGO activists from the local, national and European level. 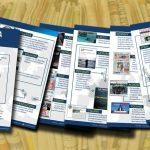 Dissemination: Reports will be accessible online via www.islamophobiaeurope.com. In addition, all reports will be translated into Turkish and published online and in print. When talking about Islamophobia, we mean anti-Muslim racism. As Anti-Semitism Studies has shown, the etymological components of a word do not necessarily point to its complete meaning, nor how it is used. Such is also the case with Islamophobia Studies. Islamophobia has become a well known term used in academia as much as in the public sphere. Criticism of Muslims or of the Islamic religion is not necessarily Islamophobic. Islamophobia is about a dominant group of people aiming at seizing, stabilizing and widening their power by means of defining a scapegoat –real or invented– and excluding this scapegoat from the resources/rights/definition of a constructed “we”. Islamophobia operates by constructing a static “Muslim” identity, which is attributed in negative terms and generalized for all Muslims. At the same time, Islamophobic images are fluid and vary in different contexts, because Islamophobia tells us more about the Islamophobe than it tells us about the Muslims/Islam. Foundation for Political, Economic and Social Research (SETA) is a non-profit research institute based in Turkey dedicated to innovative studies on national, regional and international issues. SETA is the leading think tank in Turkey and has offices in Ankara, Istanbul, Washington D.C. and Cairo. The objective of SETA is to produce up-to-date and accurate knowledge and analyses in the fields of politics, economy, and society, and inform policy makers and the public on changing political, economic, social, and cultural conditions. Through research reports, publications, brain storming sessions, conferences, and policy recommendations, SETA seeks to guide leaders in government, civil society, and business, and contributes to informed decision making mechanisms. Enes Bayraklı earned his BA, MA and PhD from the Department of Political Science at the University of Vienna and conducted research for his PhD thesis at the University of Nottingham in UK between 2009 and 2010. He took office as a deputy director at Yunus Emre Turkish Cultural Center in London in 2011-2013. Bayraklı also served as the founding director of Yunus Emre Turkish Cultural Centers in Constanta and Bucharest during the period of August-December 2012. Bayraklı has been a faculty member in the Department of Political Science and Program Director of European and International Affairs Master Program at the Turkish-German University since 2013. His fields of research include the Transformation of Turkish Foreign Policy, Cultural Diplomacy, Foreign Policy Analysis, German Politics and Islamophobia. Farid Hafez is a researcher at the Department of Sociology and Political Science at the University of Salzburg. He earned his Ph. D. in political science from the University of Vienna. Hafez has been teaching at a number of universities in the world. He has been a Visiting Scholar at Columbia University. Hafez is the editor of the German-English Islamophobia Studies Yearbook (www.jahrbuch-islamophobie.de). He was awarded with the Bruno-Kreisky-Award for the political book of the Year 2009 for his German anthology “Islamophobia in Austria” (co-edited with Prof. John Bunzl). He has published more than 10 books and 20 articles. His last publications include “From the Far Right to the Mainstream: Islamophobia, Party Politics and the Media” (Campus Verlag, 2012, together with Humayun Ansari), an introduction to the history of Islamic Political Thought and “Shifting Borders: Islamophobia as the Cornerstone for Building pan-European Right-wing Unity” (in: Patterns of Prejudice, vol. 48, no. 5, October 2014).